Visit and explore UCI. Campus Tours are led by Campus Representatives, UCI’s official tour guides. These highly trained students will offer a 90-minute walking tour of the campus with information highlighting the campus, academic programs, and student life. Walking tours of the campus occur Monday through Friday at 12:00 p.m. throughout the year. An additional campus tour will be offered at 2:00 p.m. during certain peak times. Tours are not offered during major holidays and parts of June and September. 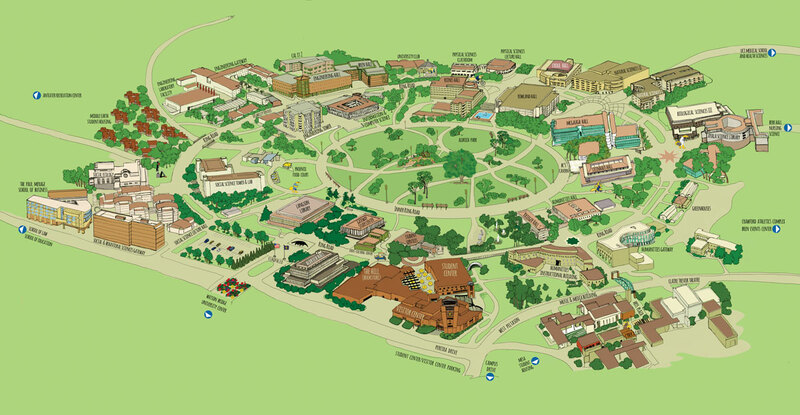 Visitors should meet for the tour at the Flagpoles area next to Aldrich Hall (building 111 on the campus map) for tours taking place March 25-April 27; tours taking place after April 27th will meet at The Hill (210-B), our campus bookstore, in the UCI Student Center. Tours are given rain or shine. The tour is approximately 60 minutes long (90 minutes starting April 29th) and requires comfortable walking shoes. In order to help UCI reach its zero waste goal, we encourage you to bring your own reusable water bottle; water refills are available for free at any restaurant and hydration station.